Snowbus.co.uk's airport to ski resort transfer service ensures everyone can enjoy ski and snowboard holidays on a sensible budget. Choose from shared transfers with regular departures and low per person prices, or private transfers offering door-to-door convenience for large groups. Our cheap shared transfer buses run from Geneva and Grenoble airports to Tignes, Val d'Isere, Les Arcs, Val Thorens, Les Menuires, St Martin de Belleville, Courchevel, La Plagne, Meribel & La Tania ski resorts. This low cost coach service runs on Wednesdays, Fridays, Saturdays, Sundays every week throughout the ski season. 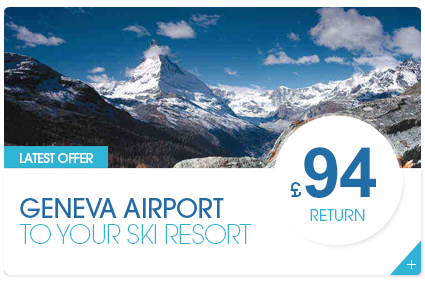 With tickets from just £49pp and transfers departing every two hours this is one of the cheapest and easiest airport to ski resort transfers available. Snowbus also provide private taxi transfers for up to 19 people in a single minibus; Taking your group of skiers door-to-door quickly and comfortably. Our affordable private transfer journeys are available from Geneva, Chambery, Grenoble and Lyon airports to the ski resorts of Tignes, Val d'Isere, Les Arcs, Val Thorens, Les Menuires, St Martin de Belleville, Courchevel, La Plagne, Meribel & La Tania. Transfers for larger coach groups can easily be arranged as well.